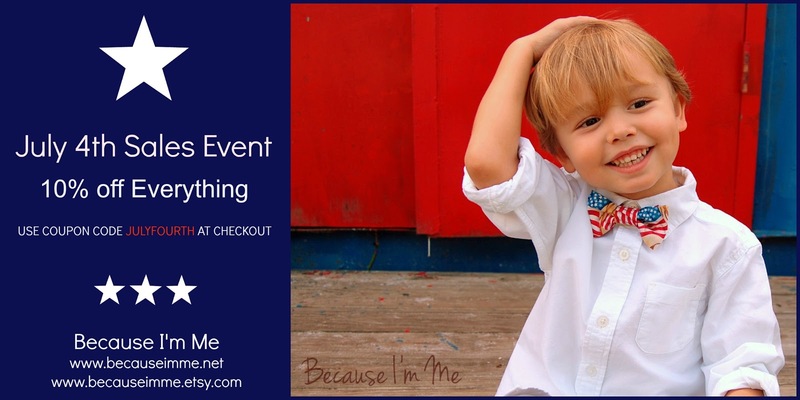 Celebrate Independence Day with a sale at Because I'm Me. Save 10% storewide with code JULYFOURTH. Offer valid through July 4, 2013. Looking for Fourth of July ties? They're in the shop! Order by June 27th, or upgrade to priority shipping and order by June 29th.